I never heard of a thermally engineered chambered maple centerblock. Does anyone have a pic of one? So I guess it means the wood was heated and holes drilled into it. I guess someone it the marketing department used their English degree. My 2016 ES-335 Premiere Figured has "Thermally treated" braces and center block, no mention of chambered so I presume not. Are you wanting to see the chambering? I'd have to assume the "thermal treating" is pretty much the same as "torrefied"/baked maple used for fingerboards. Oversimplified, it drives out moisture which gives increased strength and stability. I've heard of thermally treating / stabilizing wood, but chambering? I definitely would like to see a pic of that chambered block. I suspect it would cure or help mitigate neck rise? To me it means less wood, less weight. But it also means less mass, and I have a hard time believing there is anything positive about that. The ES Les Paul works kinds well :-) At my age, less weight is good. I'll see when it comes in next week. Termites which were then killed in an oven? Please, pick me, I'm clean! Leftover scraps of wood from the 2018 torrefied production? 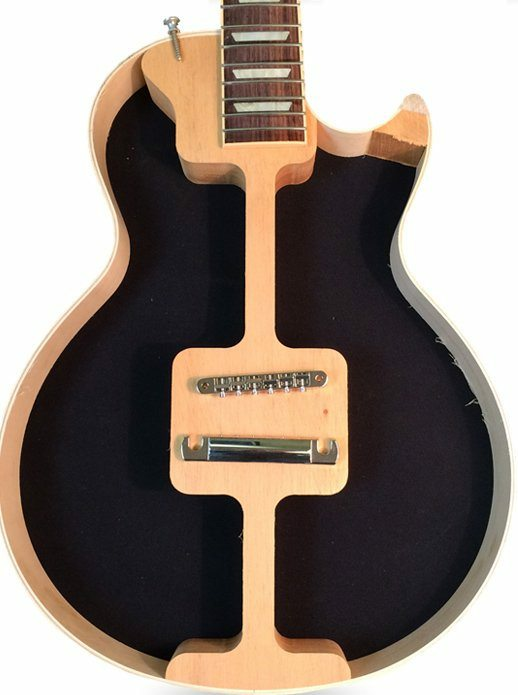 Poking around on the 2019 Memphis section I see they had second thoughts about advertising the use of Grade B Rosewood on the ES-235 and removed it from the page. I have a few 335's and every one balances body heavy and it's very noticeable while sitting. I think this will mitigate it. I'm expecting a new ES-275 next week, I'll see how it feels. Does it mean the Chamber of the Maple Center Bolck is Thermally Engineered? That's what it sounds like. LOL! Does it mean it's full of hot air? LOL, or does it mean they're full of hot air. LOL! I think its a good idea. It is a semi-hollow after all. The original purpose of the centerblock is to minimise feedback. The downside of that is the sacrifice of acoustic volume & acoustic tone. Considering all the trouble builders go to making a conventional hollow body (ie: keeping everything possible outside the acoustic chamber) in order to maximise those features, I don't grudge them some chambering a centreblock. There really isn't a lot of wood left to begin with...………..
Sweetwater Video showing the baked maple weight relieved... 4:58 mins. 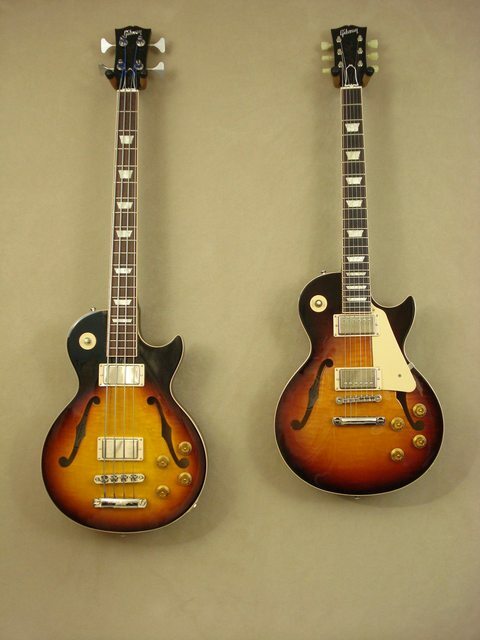 I have several Hollow & Semi Hollow Guitars.. Gibsons ES335, Epiphone Casinos & Gretsch G-5120.. I like them all. My Gibson Memphis Blacktop ES Les Paul with Bigsby is one of my favorites! It's killer looks, light weight 6.5 lbs. & great sounding MHS Pickups are second to none.. Thanks, couldn't be more clearly shown and explained. Sad thing (to me) is that I watched that video when it first came out and didn't remember that part. Wasn't looking at that aspect of things at the time. I'm not a fan of the ES-LP, to me the "ground" that it covers is already well covered by other preexisting models. But that's just me. However, I did buy one as I got a deal I couldn't refuse and could then give it a fair evaluation. Knowing firsthand how good the ES-335 Studio is (2106) compared to "standard" ES-335s, I did not hesitate at getting the ES-LP Special, the basic no frills ES-LP model. I really did expect good things from it, but I found myself disappointed with it. It is a flat-top model, so that would give it somewhat different characteristics, and it has '57 Classic pups, which should be perfectly fine in an ES. The physical appearance is perfectly good, fit, finish, feel, etc. But it does not have the resonance I think it should. I'd describe it as shallow. Plugged it, it is adequate at best, but not impressive. It does play nicely, though. To be honest, I need to give it some more time before I make a "final" judgement about it, maybe change strings. And maybe it is just not a "good one". I really want to like it, but it has some pretty tough competition from other Gibsons I have.